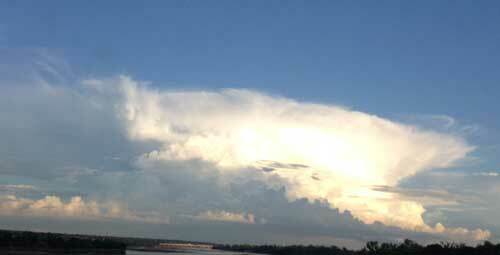 That tiny hope we had for the outflow boundary was lost during the morning briefing. The forecast was for tiny popup cells in the Tulsa area (in which we stayed) but we decided they were not worth chasing but instead decided to have some fun! After some lunch we all headed out for a tattoo parlor where not just one of us but four (!) decided to have a tornado tattoo! Jessica and Alex already had a few but most impressive was that the “2nd generation” Tim and Lanny both decided to have one. 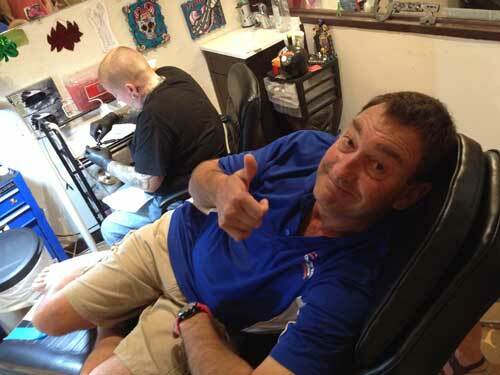 Lanny is getting his tattoo. Father and daughter with matching tattoos. 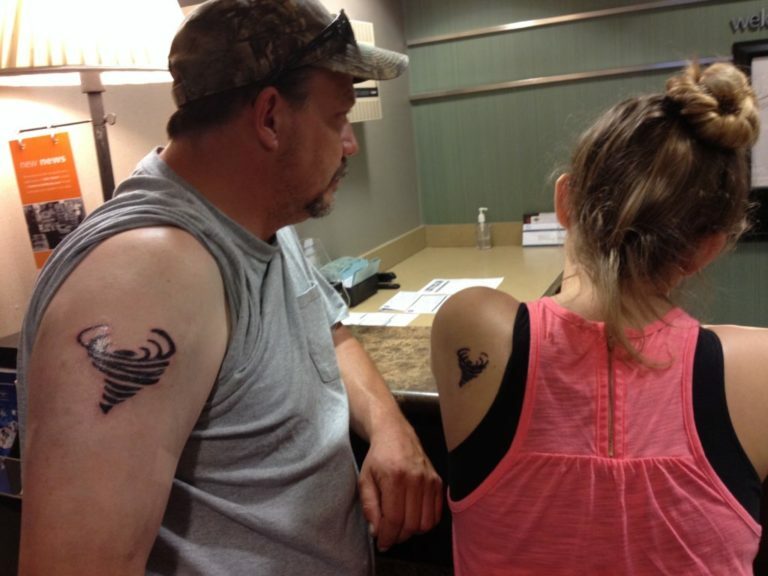 Both Tim and Jess got matching father and daughter tornado tattoos. 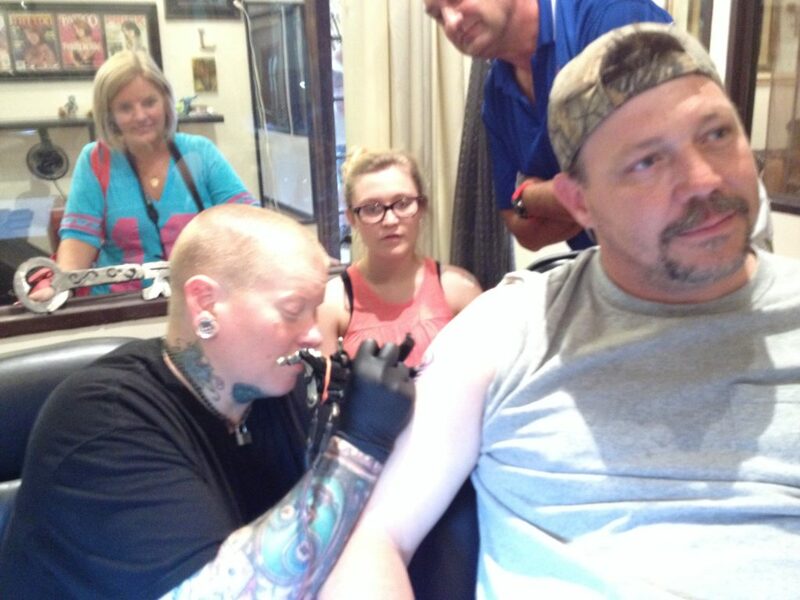 Tim may not have looked this happy all throughout the entire process but he sure was brave doing it! It was only me and Lori that didn’t get any tattoos. I may next time, especially if there is a tornado event to remember! We continued to a place where we drove go-karts, bowled and played laser tag. Although the go-karts were super slow it was a blast, especially with Lori trying to block the road! 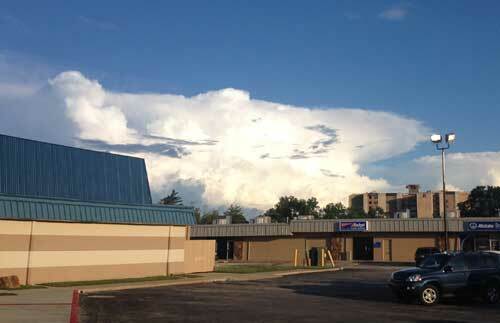 When we left the place we came out to a beautiful sky with several small pop-up storms on an otherwise clear blue sky. We didn’t have time to go out and photograph them properly but it was a feast for our storm famined eyes! 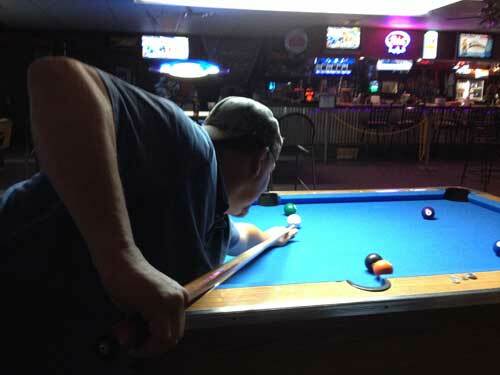 In the evening we all went out for dinner, drinks, more drinks, some shots added to that and then some pool. Needless to say, we had a lot of fun. At this time it really didn’t feel like we were a part of a tour but rather just a bunch of friends hanging out.